It's funny the moment you get that positive pregnancy test, something changes in you, which is probably the hormones, but still you mentally become a Mom. And the urge to complete that feeling becomes that much greater. Prior to my miscarriage it was trying but not really trying, after the miscarriage it was the only thing I wanted. I only knew I was pregnant for a day, before my miscarriage so even I was surprised how hard it hit me (like crying in the bathtub emotions), and how I didn't know who I could talk to. It seemed at the time it was taboo, nobody talked about it. All the while my facebook feed was a daily reminder as it was filled with baby announcements and baby photos. It wasn't long before I had started acupuncture treatment. I had heard praises about this type of fertility treatment and I figured it would be most cost effective. The only problem was they didn't want us to try until the treatment was over. It seemed nearly a year wasted, and by the end of the year I stopped going and started trying those ovulation tests and natural supplements. Every day waiting for that damn happy face to appear. And then getting slightly excited when I thought my period was late, only to start spotting the next day. Hormones do a crazy thing to you, and so does trying to get pregnant. I turned into someone else sometimes, irritable and an overall grouch (especially to the husband, SORRY HUBS). Every month those two weeks you have to wait to see if it worked is torture. You imagine symptoms, possible early signs of pregnancy, or at least I did. You waste a ton of pregnancy tests. And then heart crushing when you get your period. And repeat. I went through this cycle for several months before finally going to my Obgyn, got my hormones checked out, got put on meds for thyroid issues, and then clomid. I thought this is for sure going to be it. Each month they saw a few good follicles (almost eggs). We went through a few cycles with just clomid and HCG trigger shots (to drop the eggs) to no avail. My hormonal level skyrocketed even more with the drug making each cycles high and lows that much greater. Not to mention me dreading to go to the suddenly plentiful amount of baby showers and parties where everyone brought their babies. It was that age where everyone around me was having babies. And not that I wasn't happy for them, but it was just another reminder. And then everyone asking me when are we going to have kids. I mean EVERYONE. At first I laughed it off, oh we're trying alright. It's surprising how painful a simple question can be, and a reason why you shouldn't ask it. The advice would usually be worse though - Just do it more. Relax, Don't stress about it.. Ok gotcha. After those first few cycles of clomid not working, the next step was getting the HSG test to make sure my fallopian tubes were open. Let me warn you, this test is painful. And I almost wanted the results to come back saying yes something was blocked, because why else would I not be getting pregnant. After the all clear was given, we moved on to clomid with IUI (think turkey baster). 3 more cycles and that was it. Clomid can only be taken so long before the percentage of it working drops, and I had met that limit. And my Obgyn office could do nothing more for me. I needed to take a couple months off after that. After several champagne nights, I was ready for a consultation for IVF. We decided to go for it. Even though insurance was not going to cover it (very few do), and yes it is ridiculously expensive. A lot of the cost is also for the meds (which are shots, yes that's plural) the process starts with pretty much a month long of shots that go in your stomach, twice a day. Then there's the all the blood tests and ultrasounds, before the major procedures (extraction, and putting the embryos in). The doctor recommended us to put 2 in for a higher success rate. It was a challenge that's for sure, the entire process is arduous, but worth it. 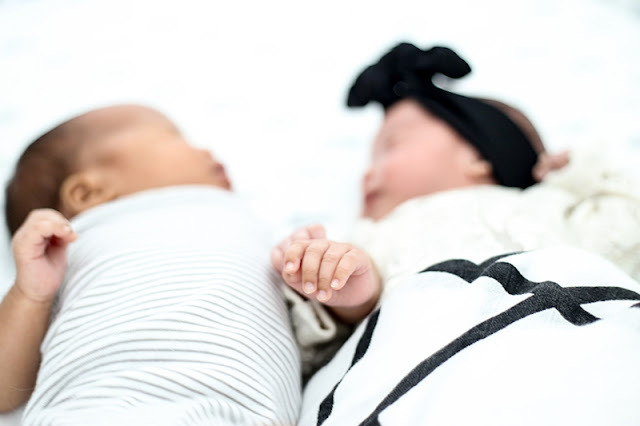 Nine months later, and a hard pregnancy (I'll save that for another time), I'm now the mother of two precious babies. My journey to motherhood took over 4 years, and I was an emotional wreck a lot of the time. I kept it all to myself for awhile. Your friends who haven't experienced infertility are there for you but there are just some things they don't understand, and some can inadvertently say the wrong things that your crazy emotional state just can't right now. Luckily halfway through my journey I found friends I could talk to who were also in the same boat. They really saved me on days I needed encouragement, a shoulder to cry on, or an ear to vent to. Which is why I've been wanting to share my story, because those who shared theirs really helped me. So if you need to talk, I'm here. I'm so happy your difficult journey worked out for you in the end. Thank you so much for sharing!!! What a great story. I totally feel you!! I am in the same boat now, except I have yet to dive deeper. I have one daughter Maia, she is 5. About a year and half a ago I had a miscarriage. But previous to that I must have had 2 others. Similar in your case to late periods by one or two days, take a test, it's positive... Woohoo we are pregnant and then 2 days later have a massive period. The only difference with me is that I'd did not tell anyone, not even my OB Gyn. The miscarriage from 1 year and a half ago, I lost the baby around 10-11 weeks... Devastating!!! To the point that I convinced myself and my husband to move out of the house that we just moved into 1 year and half before that time and find a "home home" it's sounds crazy, but we sold that home and here I am now almost 11 months into our new home. I wanted to run away from that part of my life, My goal by June is to contact a specialist. It's so hard to relax and not think about it, when your daughter draws you pictures every day of our family with her brother and sisters (that do not exist but she hopes for). I am so excited for your beautiful family! And so happy to read your story!! And when family or friends ask me "where is your next one" I say in due time. thanks for being vulnerable and honest and sharing this story. i remember when i was in nursing school, a group of young mothers came in and described their loss and grief after they had miscarriages or stillborns. "when you lose a child, no matter the age, your lose your future and dreams too." so i can't imagine how heartbreaking the journey must have been, and glad to see you open and share this. and happy for your new twins =). praying for God's many blessings for you and your family.